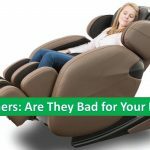 Have you ever wished that you could make your couch more comfortable without spending hundreds of dollars? But the worst thing is that expert advice on this is not easy to find. You don’t have to worry! We have you covered. 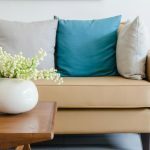 In this article, I’m going to explain to you on how to make a couch more comfortable with nine easy to follow hacks. The best thing is that I can guarantee you cent percent success rate without emptying your pockets. 3. Don’t cramp for style! 5. Don’t Ignore Throw Blankets! 7. Change those tear-jerking, depressing upholstery! What’s the very first thing you do in air-conditioned furniture shop? Pretty sure you’re tempted to sit on the cozy-looking sofa/bed in spite of the bold sign “Do no sit”. Perhaps you end up rubbing your palm against the silky soft fabric. Ever wonder why is that? The answer is clear and straightforward. That’s because ‘comfort’ is the very first thing we subconsciously consider. However, even comfortable couches can become uncomfortable over time. It’s not stamped anywhere that they wouldn’t lose their plushy charm. Your precious couch may sink more or cushions never break-in and remain hard. Don’t worry! 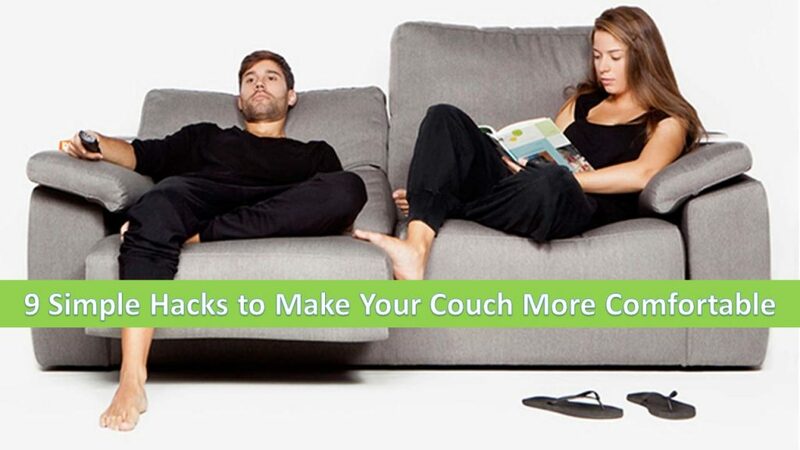 You don’t need to throw away your couch instantly! Several tips can make you reconcile with your precious bae. So grab your pen and list down the things making your couch uncomfortable. Mark the work cut out for you. We’ve sketched out the tips to walk you through the comfort-enhancing steps. Sometimes, there are hidden things in your couch sponsoring discomfort. Those things can be small pieces of cardboard or plastics. Remove the unfixed cushions and see if you spot any. If your couch is not new, this step is still valid. Disassemble your sofa and search for objects gone underneath the sofa. You can even let your kids do the task, making them feel like detectives. There are chances of your kids’ toys lying there in isolation. Surprise your children by giving their lost toys back. Check if the legs are adequately screwed and balanced. The comfort is also based on whether the screws are tight or not. Sofa must at least bear the weight of people it promised to accommodate. Nobody likes to sit on the wobbling sofa. It should not be prone to destruction while people sit on it. Lest it will invest in the impending embarrassment, you may never forget for the lifetime. Ensure that you have correctly installed the legs. Place it upside down to double check it. Keep your eyes fixated on the holes provided for legs’ installation. Is their size perfect? Does it even go with the screws the sofa comes with? If not, drill those little buddies and correct each of them. Now, tighten every screw properly before placing it deftly against the floor. Congrats! The probability of your sofa turning into rocking couch has plummeted! Our excitement shoots to the highest degree while swiping sofa pictures on Pinterest. It’s hard to leash our bedazzlement upon seeing plush couches with décor pillows. We inevitably want to try the look on our couches as well. But here is the big picture! Don’t throw a large number of pillows on your innocent couch. It may give it a look, but only after compromising on comfort. Indeed pillows make couch comfortable; especially when your back is pushed against its softness. However, too much of anything is wrong and uncomfortable. Having a large number of pillows take up a lot of space. You are unable to sprawl all over your couch in that situation. Neither can a lot more people sit together. Putting fewer pillows for this case is wise. Less will be enough to give look and comfort without space-constrains. We’ve already discussed too many pillows can cramp your sofa. However, fewer pillows are also necessary for both look and comfort. Let’s see how to make a couch more comfortable with throw pillows! The first thing is, the type! Yes, the comfort of people varies. Some like stiffness in couches while others prefer sinking in. Same is the case with throw pillows as well. Hunt down your favorite ones online or drive out to your closest store. Make sure to choose one of your choices. You may be the person who dreams for fluffy objects or stuffed toys. In that case, change your pillows to more fluffy ones. Choose the colors that would make you happier. 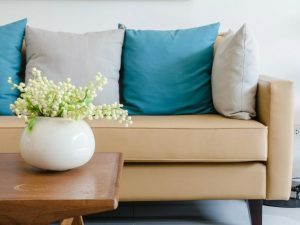 I highly recommend you to read this article to know more about this: How to arrange pillows on a couch. We all love to prefer coziness while we read or binge-watch. Nothing’s better than enjoying a warm cup of coffee on cold rainy nights. We opt for agile methods to make our couch more comfortable in those situations. What one easy method could there be? It’s simple and gives welcoming vibes! Yes, introduce a modern but very comfortable throw blanket! The good thing about it is that it gives a nice touch to your uber-chic couch. During Netflix nights, you can drape it around you for the optimum comfort. It brings an aesthetic beauty which is doubled with thrashing rain outside the sprayed glass windows. The top producer of comfort in case of sofas is cushioning. It’s extremely uncomfortable if sofa sinks displeasingly or has springs bulging out of it. One way to diminish such discomfort is doing some work on cushions. Here is our humble advice! Don’t be disheartened or depressed if your sofa turns out to be stiff and uncomfortable. Restuffing couch cushions is very easy to do. With this, you can make it the comfiest and plushiest being. This is the reason why ‘detachable cushions’ in sofas is a plus point! Sometimes, you are provided zippers or other kinds of opening to allow re-stuffing. This trait can transform entire vibes your new sofa emits, enhancing ‘welcoming attitude’. Don’t think fluffiness is only limited to young children’s bewildering excitement. Introduce it to your cushions for the sake of extra and cozy comfort. Do it once in a while as cushions are prone to lose their fluffiness with long-term use. However, you must not be hasty! When sofas are new, they are stiff. Give it some time to break into its extent. You should not think about re-stuffing before that break-in period is passed. It’s always instructed to rotate or flip cushions/mattresses after months. This is to let them wear out evenly. You know it’s time to utilize those muscles when your couch’s upholstery wears out. The fabric may give gloomy, dirty look or fray out. It may lose its tightness or smoothness. Sitting on such a damaged sofa is extremely uncomfortable. You may feel like low-spirited human being paving their way to sulky, pesky alley. At this rate, you must fix or change your upholstery. You should know that changing the entire upholstery requires some extra cash. It’s worth a shot if it can transform your room into a lively and warm one. Your sofa bed will be new, and unfamiliarly more comfortable! Choose upholstery according to your room’s theme for more elegance. However, we’d advise you to just fix it when there’s no need for change. Grab thread and needle if it is torn from the corner. It will be unwise to keep using unfixed couch if its frame is damaged. Why? Firstly, it is highly uncomfortable, and secondly, its efficiency falls down. 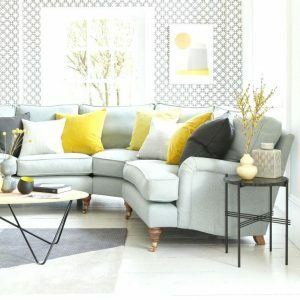 Sofas with damaged frames cannot bear weight it once promised to. It is possible for it to possess an ugly, noticeable look. You can fix it with glue if it’s damaged from the back. Make sure you do not do new experiments if you’re unable to fix it. Just simply call the expert or drive it to the store. You may find a number of upholstery shops that do the job. Sometimes stained patches look hardened and are a source of providing discomfort. The spilled liquid can also give it stinky odor. This won’t let anyone sit comfortably or relax on your couch. You have to wipe the spills with water. Next, let it properly dry o that it does not leave a bad smell. Make sure you have cleaned it as instructed on the manual. Don’t use detergents on the fabric it is not designed for as it can damage it permanently. This method may sound bizarre, however, it is relevant for many. In lavishing cafés and modern dining rooms, couches are used along with chairs. In that case, couches with more height are favored to suit it with the table’s height. If you’ve already bought the couch but wants to try the same, don’t fret. We’ve some tips which will let your couch have the preferred height. This method is a piece of cake. Order the legs which are taller than previous ones. Make sure you have proper screws. Put the sofa upside down and unscrew the legs. Now place the new legs and secure them tightly! Make sure the ordered legs don’t carry any flaw. Focus on casters which can make your sofa look bigger. They also help in securing the sofa’s position and does not let it wobble. 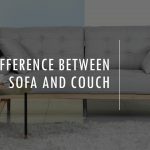 Before you fasten your seatbelts to learn how to make your sofa bed comfortable, understand the problem. There are many hacks and tips that can resolve discomfort issues. Our article highlights some of the most commonly used techniques. I’m sure that even if you buy the most comfortable sofa ever, it will one day have some issues. But these tips are there to help you with those hard occasions. Try creative ways for introducing more comfort into your living rooms. Use fluffy pillows, comfortable and cozy upholstery and properly stuffed cushions. 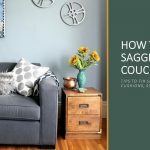 We have sketched out the tips to give you the most comfortable time with your sofa beds. We hope we have helped you well. Let us know about your thoughts in the comment section. We’re glad to hear from you guys!